1. Page 1 : Everything You Need To Know About The AMD Ryzen Threadripper Processor! AMD has finally announced the specifications, pricing and availability for the AMD Ryzen Threadripper processor! 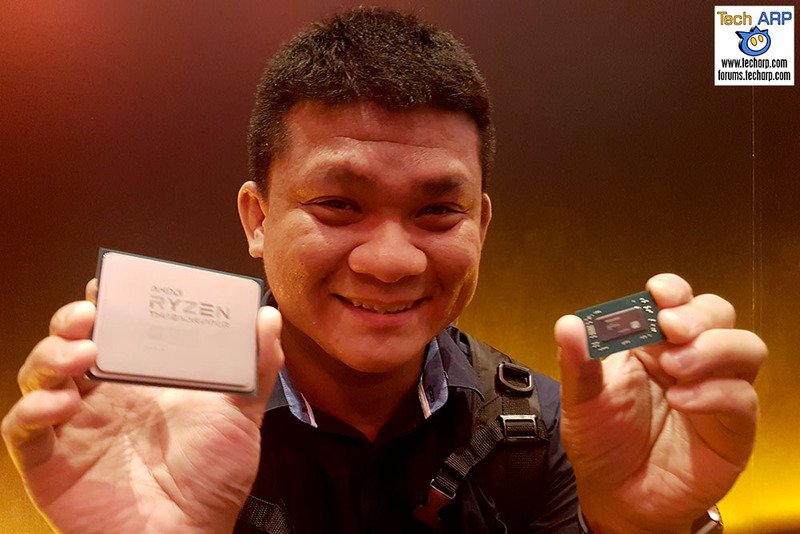 This follows their AMD Computex 2017 press conference, where they showed off the massive 16-core CPU that is targeted at the ultra-premium desktop market, directly taking on the newly-launched Intel X-Series processor. Here is EVERYTHING you need to know about the AMD Ryzen Threadripper processors – specifications, performance, and even the special Game Mode feature! Read and SHARE! Updated @ 2017-09-04 : We updated the availability of the Ryzen Threadripper 1900X processor, and added many links, including a link to The First AMD X399 Threadripper Motherboards. Also cleaned up many parts of the article. Updated @ 2017-08-11 : We added the South East Asian prices, and a new page on the Ryzen Threadripper’s multithreaded CPU performance, gaming performance and the special Threadripper Game Mode option! Updated @ 2017-07-31 : We added details of the newly-announced Ryzen Threadripper 1900X processor, and availability of all three models. We also added a new section on the Delidded Threadripper, and the secrets it revealed! Updated @ 2017-07-26 : We added a picture of the AMD Ryzen Threadripper box! Updated @ 2017-07-18 : We added the official AMD Ryzen Threadripper specifications and prices, confirming many of the earlier leaked details. Don’t forget to check out the official announcement video below! Updated @ 2017-06-13 : We added new details that were just leaked about the AMD Ryzen Threadripper processor. The AMD Ryzen Threadripper will have up to 16 cores, processing up to 32 simultaneous threads. It will use the new Socket TR4, have quad-channel DDR4 memory support and feature 64 PCI Express lanes. If you were impressed by the 8-core AMD Ryzen 7 processors (read our AMD Ryzen 7 1800X review), just imagine how powerful the 16-core AMD Ryzen Threadripper processor will be. In this video, Jim Anderson, Senior Vice-President and General Manager of the AMD Compute and Graphics business group, reveals the key features of the Threadripper CPU and Socket TR4 platform. Then, AMD President & CEO, Dr. Lisa Su, showed us a demo of Prey running on 4K (on Ultra High settings) using the AMD Ryzen Threadripper, with dual AMD Radeon RX Vega graphics cards. However, she did not reveal the average frame rate of this setup. In this new video, Dr. Lisa Su and John Taylor (Corporate Vice President of Worldwide Marketing, AMD), reveal the specifications of the two first AMD Ryzen Threadripper processors (as well as the first two Ryzen 3 processors). It also shows both Ryzen Threadripper CPUs delivering higher performance in Cinebench R15 than Intel Core i9-7900X X-Series processor. Targeted at the high-end desktop (HEDT) market, the AMD Ryzen Threadripper is paired with the X399 chipset and the new Socket TR4, offering quad memory channels and support up to 2TB of DDR4 memory, as well as 64 PCI Express 3.0 lanes! ASRock, ASUS, GIGABYTE and MSI already have motherboards built around the AMD X399 chipset. Everything is set for the Threadripper’s epic battle against the newly-announced Intel X-Series processors! Pingback: The GIGABYTE X399 DESIGNARE EX Motherboard Revealed!